A disaster was averted at the Delhi airport on Sunday when the tail of a Patna-bound Jet Airways aircraft touched the wings of another. 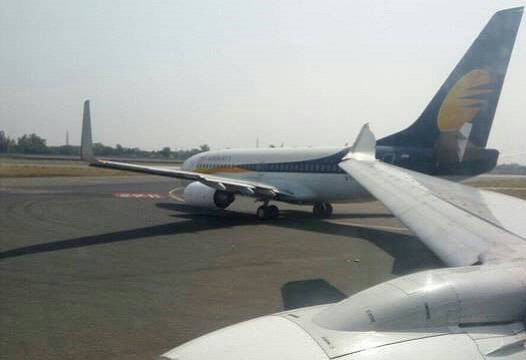 Sources said the two Jet Airways planes nearly collided at the runway of the domestic airport on Sunday afternoon. The Patna-bound flight hit the wings of another scheduled for Srinagar.